conjunction with one another to produce your ideal underwater film project. Please scroll down the page to view our complete list of services. 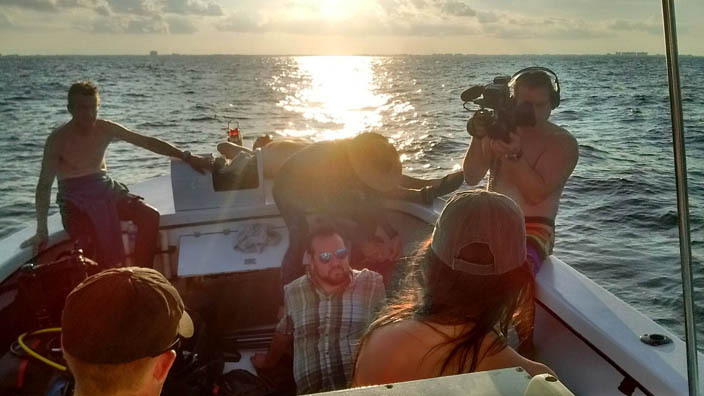 Our Filmmakers provide top of the line Underwater & Topside Cinematography Services to capture the shots your project needs to be a success in any array all the way up to 6k video quality. At Ocean Sentinel Productions, our team provides start to finish full production services for high quality film development. From attracting marine life to interact with divers to bringing your project to life in the studio, you can trust your projects with the professional underwater cinematographers at Ocean Sentinel Productions. Our oceanic film production team has the knowledge and experience to provide your project with full expedition leadership including location consulting, marine film production logistics and top of the line equipment for the highest quality production results. 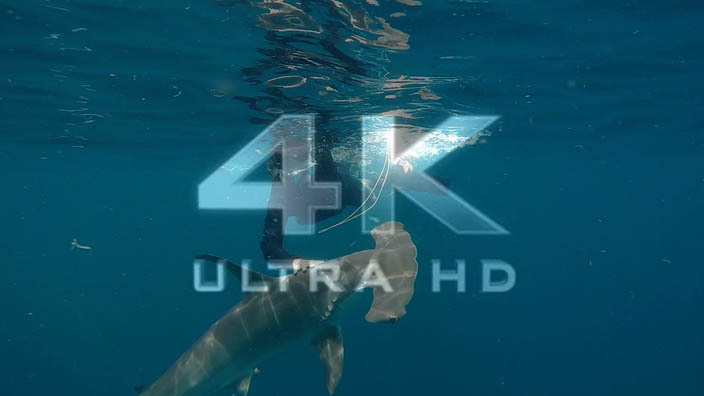 Ocean Sentinel Productions facilitates the filming of a wide variety of marine life and specializes in varying high quality formats that include 1080P, 4k, 6k. Let our experienced team create your perfect marine project. Looking for a custom solution for your project? 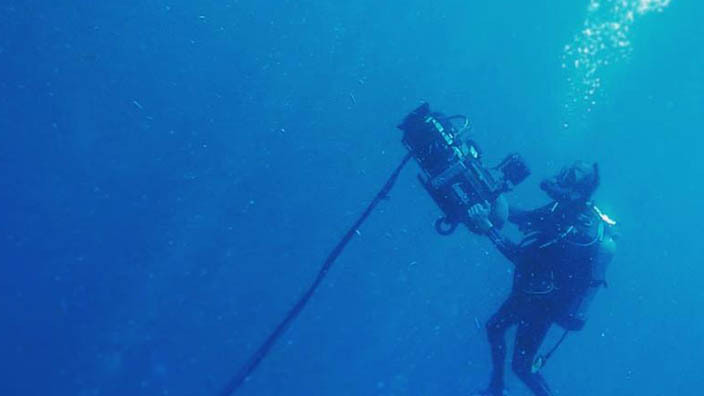 We provide Full Production, Post Production and Video Packaging Services to make the most complex underwater cinematography demands of your project a reality. At Ocean Sentinel Productions, our team knows that every shoot and production is unique. We are passionate about meshing specific wildlife with specific requirements in order to produce the highest quality final film result. We know from experience that working as a team is essential for a successful shoot. We go out of our way to work with individuals from varying backgrounds to make sure all the aspects of a successful shoot are delivered. Ocean Sentinel Productions has filmed marine wildlife all over the globe. We possess the unique knowledge and experience diving with a variety of marine life and sharks to make even the most complex projects go off without a hitch. We’re passionate about shark species of all shapes and sizes. Professional film productions take place in locations with the best chance to find specific species. We provide the ability to find, attract, dive and film any shark species anywhere in the world. We are aware of the many details of sharks and marine wildlife. Our professionals know when and where shark species can be found, how to bring them to the shoot location, how to keep them at the location, how to keep all participants safe while getting the essential shots for production. We possess the knowledge and experience to safely lead film crew and/or talent in any dive situation with sharks both on SCUBA and Freedive. Our experienced team knows how to work with sharks to keep them in a certain area and to perform certain tasks to get specific/action-oriented shots. Examples include: sharks hitting battling, shark circling talent, etc. We coordinate and setup logistics in terms of shoot locations, transportation both on and off the water, bait setups, dive gear, safety divers, etc. Ocean Sentinel Productions prides ourselves on delivering the toughest underwater film production results. We provide a myriad of custom shark interaction services that we are happy to discuss at your convenience. shark diving charter companies on location that are also mobile throughout the US East Coast. Our Rates vary from project to project based on what is needed and the duration of the shoot. Please contact us directly to talk further about our rates to make your unique project a reality. READY TO GET YOUR UNDERWATER WILDLIFE PRODUCTION STARTED?